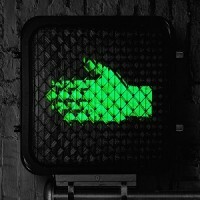 'Help Us Stranger' is The Raconteurs' third studio LP and first new album in more than a decade. It sees the mighty combo reassembled, stronger and perhaps even more vital than ever before as they continue to push rock 'n' roll forward into its future, bonding prodigious riffs, blues power, sinewy psychedelia, Detroit funk, and Nashville soul via Benson and White’s uncompromising songcraft and the band’s steadfast musical muscle. With 'Help Us Stranger' The Raconteurs have returned right when they are needed most, unified and invigorated with boundless ambition, infinite energy and a collectivist spirit operating at the peak of its considerable powers, once again creating a sound and fury only possible when all four of its members come together. White and Benson wrote all the songs on 'Help Us Stranger' except one cover, “Hey Gyp (Dig The Slowness),” which was written by Donovan. Recorded at Third Man Studio in Nashville, TN, the album was produced by The Raconteurs and engineered by Joshua V. Smith. Longtime friends and musical collaborators helped make 'Help Us Stranger', including keyboardist/multi-instrumentalist Dean Fertita (The Dead Weather, Queens of the Stone Age) and Lillie Mae Rische and her sister Scarlett Rische. The album was mixed by Vance Powell and The Raconteurs at Blackbird Studios in Nashville.